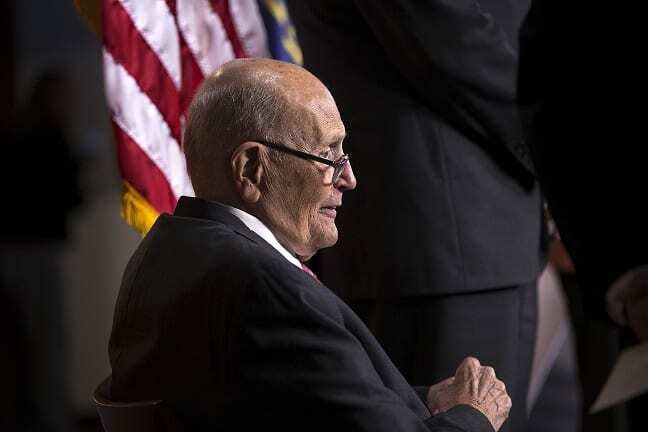 DETROIT (AP) — Former U.S. Rep. John Dingell, the longest-serving member of Congress in American history and a master of legislative deal-making who was fiercely protective of Detroit’s auto industry, has died. The Michigan Democrat was 92. No matter how long I live I’ll never be worthy of carrying a bucket of Congressman Dingell’s piss. He took the seat his father held, his wife holds it now. That’s 90+ years of control of this house seat by one family.